Jordan Brand recently introduced a handful of "Tinker" Air Jordans, some of which are inspired by another classic Nike sneaker. For instance, the recently released Air Jordan 10 "Tinker" which takes design cues from the Tinker-designed Nike Huarache Light "Ultramarine" colorway and the Air Jordan 6 "Tinker" inspired by an original colorway of the Nike Air Trainer SC II. 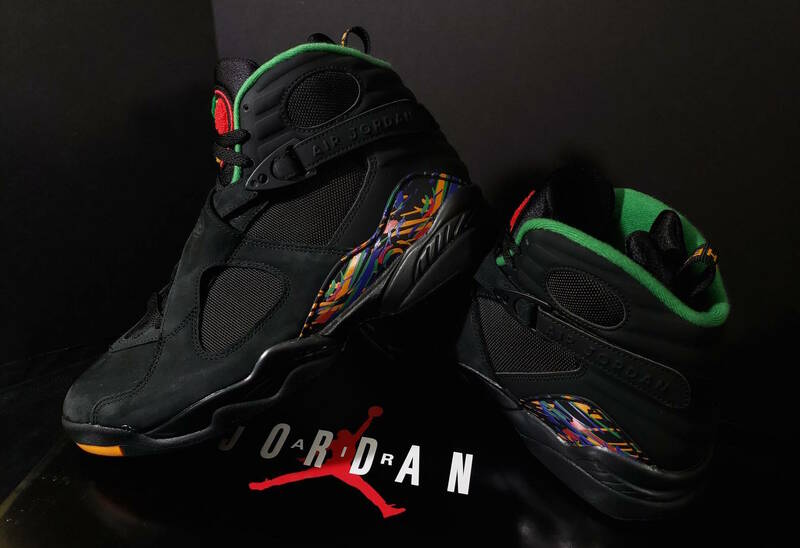 Additionally, Jordan Brand has plans to release an all-new Air Jordan 8 "Tinker," which serves as a nod to the beloved "Urban Jungle" Nike Air Raid. The kicks feature a black nubuck upper with Light Concord, Aloe Verde, and University Red accents reminiscent of the Air Raid's vibrant graphics. Additional details include a colorful chenille tongue logo, a green inner lining, a splash of yellow on the outsole and yellow “Live Together” text on the black heel tab. The special edition Air Jordan 8s are set to release on December 22 for the retail price of $190. Check out some additional images in the IG posts embedded below.